American National Biography; Dictionary of American Biography; La Follette, Belle C., and Fola La Follette. 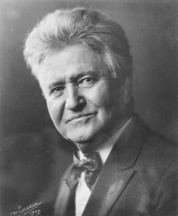 Robert M. La Follette. 2 vols. New York: Macmillan, 1953; Unger, Nancy C. Fighting Bob La Follette: The Righteous Reformer. Chapel Hill: University of North Carolina Press, 2000.